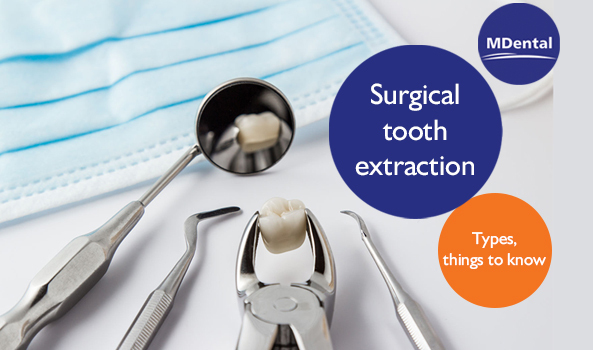 In the first part of our series we went through the typical cases, when surgical tooth extraction is needed. In our second article, you can read everything about bone grafting. Why do you need bone grafting? Before starting dental implantation, bone examination is unavoidable, since long-term preservation of the tooth implant requires a stable foundation like in the architecture. In some cases, some the patient’s teeth may have been missing for a long time. This length may be decisive, the longer you delay your dental treatment, the greater the chance is that the bone becomes tapered after a while and it will not be suitable for placing a dental implant. If the missing teeth are not replaced for years, the gum and bone will start to diminish over time in the gap. However, our dentists know the solution in such cases, as well. As a first step we make a panoramic X-ray, which helps our dentists to create the ideal dental treatment plan for you. If the bone is not suitable for implantation of dental implants, our dentists may suggest bone replacement. Bone augmentation is an oral surgery procedure when the existing bone is filled with bone substitutes, it is incorporated over time and can be used to implant the artificial tooth root. Bone loss can be caused by two common issues which are tooth loss and chronic periodontitis. 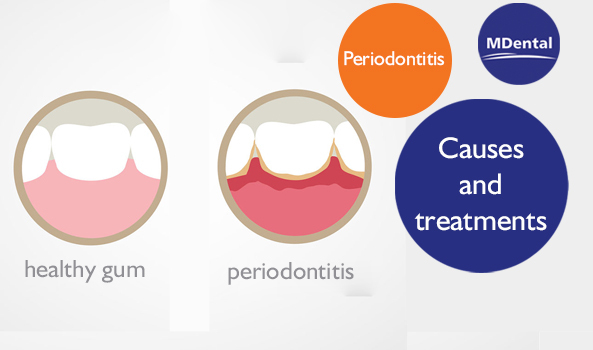 Periodontitis is an inflammatory gum disease, during which bacteria destroy the jawbone underneath the tooth. This can seriously reduce the density of the bone which leads to further issues regarding the jaw and surrounding teeth as well. But what is even more frequent than periodontitis is tooth loss. The jawbone needs to be trained by chewing. If a tooth is missing and is not replaced, underlying bone starts to diminish after a while since there isn’t any pressure anymore and there is nothing left to support. This happens in every case without exception, the only factor that determines the volume of bone loss is time. Bone loss is not an isolated phenomenon but it has various effects on its environment. It can cause surrounding teeth to change their position or might even changes the shape of the face. The loss of a tooth causes the progressive resorption of the jawbone. When bone loss is frequent, dental implantology cannot intervene and place a dental implant into an area that is too narrow. 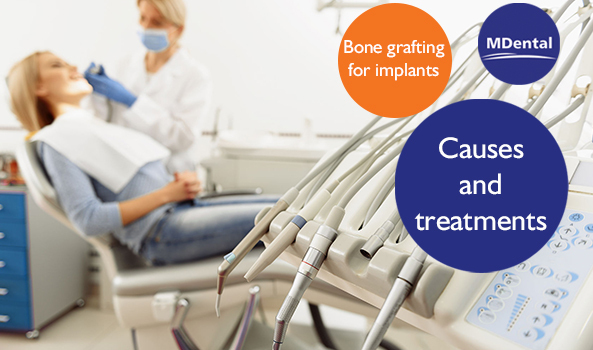 It is necessary to carry out a bone graft beforehand. In most cases, the grafts are performed under local anesthesia most often. Grafts, performed under general anesthesia involve hospitalization and a long recovery period. Bone removed from the jaw may be applied in cases of significant increases in bone peaks or if the quality of the bone in the jaw is unsuitable. it is called alloplast. This is a synthetic bone graft developed in a laboratory. In dental implantation generally it contains Hydroxyapatite (a major component and an essential ingredient of teeth). in this case, we use processed bone that comes from animals (cow, horse, or pig bone). Using bovine bone is a proven and successful technique. The method is efficient, because the bone graft prevents the collapse of the surrounding tissues. During the so called “guided tissue regeneration” process, the human body recognizes the graft as natural bone. These grafts make a framework for bone from the surrounding area to grow and fill the hole. 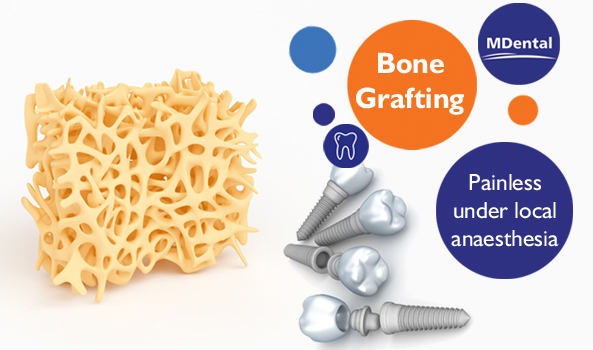 The graft, a piece of bone, is taken from the patient in the jaw, chin, hip, tibia or skull (external wall) and is usually immobilized by one or more osteosynthesis screws. The sinus can be found above the maxillary (upper-jaw) morals and premolars. In case of a lack of bone mass in this area, sinus expands downwards and reaches the ridge of the teeth. The ridge gets too narrow which won’t be able to support the dental implant. This is when bone grafting material is added in order to anchor the tooth implant to be placed. Sinus lifting is a special surgical procedure when the sinus membrane is moved upwards in order to create sufficient space for the bone. During our FREE dental consultation it is vital to evaluate the possible risks and outcomes of a bone augmentation. Since it is an oral surgery, not everyone can be a suitable candidate for bone grafting. Those who have i.e. uncontrolled diabetes or suffer from other problems this act would be too hazardous. Patients can be ideal applicants if they have a fine general dental health despite having one or few teeth lost. It is also important for them to be able to handle the surgery with all its conditions. Approximately 30mn to 3h depending on the type of graft performed under local anesthesia in the office under neuroleptic analgesia (patinets may get Dormicum before the treatment if it is needed) + local anesthesia or under general anesthesia for bone grafts with tibia, hip or skull sampling. Depending on the complexity of the graft to be performed, the increase in the bone volume can be carried out simultaneously or prior to the placement of the implants. If the bone graft is done beforehand, the placement of the dental implants is deferred approximately 3 to 8 months in order to obtain the vascularization of the graft. In some cases, implant placement can be done simultaneously. If a bone graft is necessary, it must be the subject of a supplementary estimate. 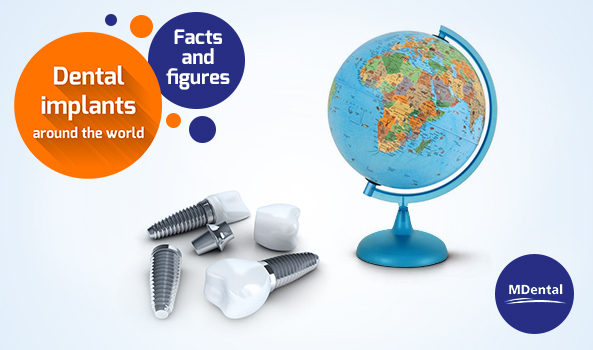 The cost of a bone graft is between 600 and 5000 Euros in France, between 500 and 2500 Euros in Hungary. Depending on the sampling site, the disadvantages may include a “tape” on the chin, sensory disturbances in the chin and lower lip or limited tonsure (for bone removal from the skull) . Wearing of any dental prosthesis is not recommended for several months. The realization of a graft, like any act of surgery, is subject to a therapeutic hazard. In case of infection, graft loss or a result not allowing the implantation of implants. Maxillofacial surgery offers the possibility of reconstructing large and tall bone sites. The oldest edges, the most resorbed ridges, the almost non-existent bone are no longer insurmountable problems. A maxillofacial surgeon is able to recreate ideal conditions, both anatomically and aesthetically. Don’t forget to pay attention to the costs, risks and constraints.